China UnionPay is a Chinese financial services corporation headquartered in Shanghai, China. It provides bank card services and a major card scheme in mainland China. Founded on March 26, 2002, China UnionPay is an association for China's banking card industry, operating under the approval of the People's Bank of China (PBOC, central bank of China). It is also the only interbank network in China that links all the ATMs of all banks throughout the country. It is also an EFTPOS (Electronic Funds Transfer at Point of Sale) network. It is the largest card payment organization (debit and credit cards combined) in the world, based on payment transactions, schemes and number of cards issued, before Visa and MasterCard. It also offers mobile and online payments. 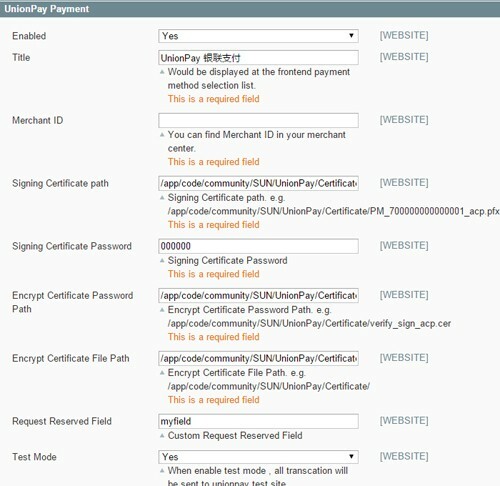 The SunflowerBiz UnionPay Module is a payment gateway which allows your site to process payment through UnionPay payment gateway API. 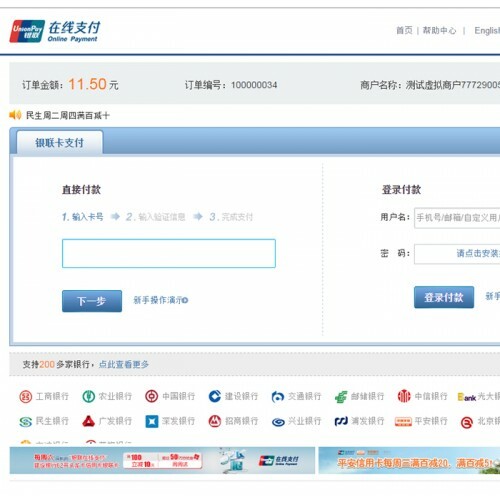 When customers choose UnionPay payment method to checkout in front, it will jump to UnionPay official site to process the payment. 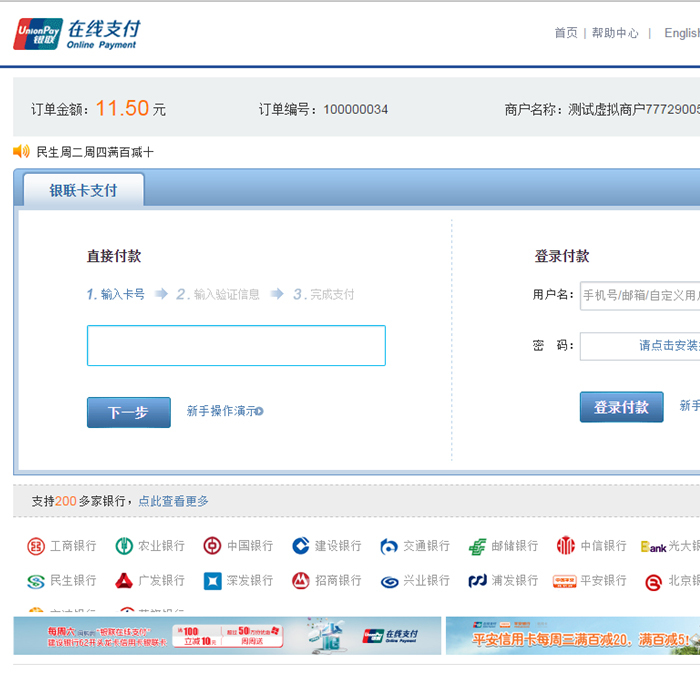 Customers will be asked to enter their UnionPay account and password to make payment on UnionPay official site. The whole payment process is finished on UnionPay official site, which means customers’ UnionPay account and password will not be stored in your site. 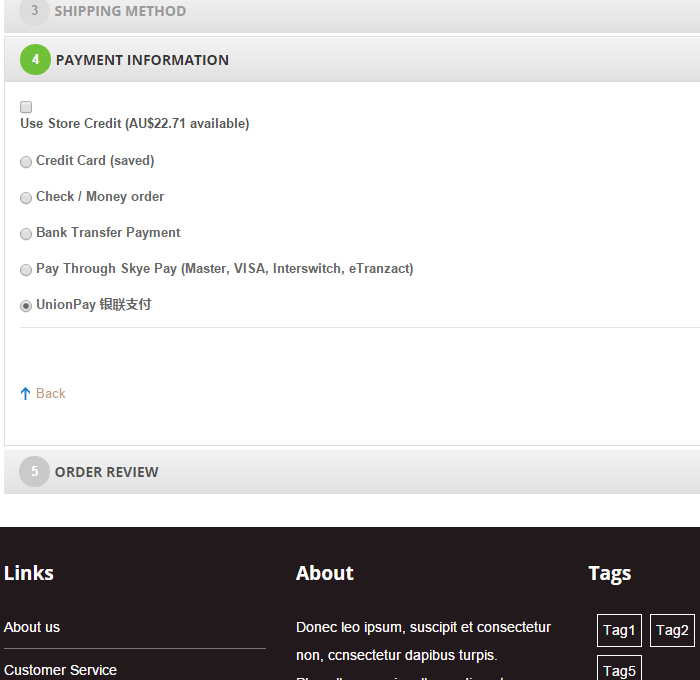 After finish payment, there is a “return” button on payment success page. 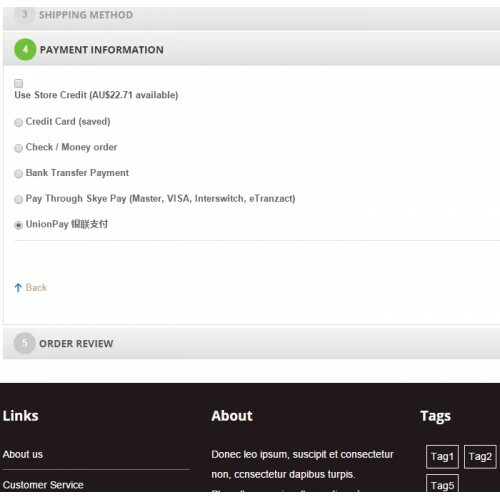 After click the “return” button, customers will come back to your site and the order status will auto change to “processing” in site backend. UnionPay cards can be used in 141 countries and regions around the world, making it the third-largest payment network by value of transactions processed, behind Visa and MasterCard. Some UnionPay credit cards are also affiliated with American Express, MasterCard or Visa, and they can be used abroad as an American Express, MasterCard or Visa. UnionPay debit cards, however, can only be used in the UnionPay network and other networks that have signed contracts with UnionPay. Since 2006, China UnionPay cards can be used in over 100 countries outside China. Other UnionPay-affiliated organizations include municipal commercial banks as well as rural credit cooperatives. Overall, there are 165 financial institutions that issue UnionPay cards. UnionPay had partnered with JETCO in Hong Kong and Macau until January 1, 2006. As of January 2013, Bank of East Asia and Citibank were the only banks allowed to independently issue UnionPay credit cards in Hong Kong and the mainland. HSBC and its subsidiary Hang Seng Bank independently issue UnionPay credit cards in Hong Kong, while they issue cards in the mainland in cooperation with local banks as noted above. Deutsche Bank only has co-issued cards, with no independently issued UnionPay credit cards. DBS Bank offers a UnionPay debit card in Singapore. Lotte Card offers a UnionPay credit card in the Republic of Korea. Mitsubishi UFJ NICOS offers a UnionPay credit card in Japan. SCT Networks offers a UnionPay Debit card in Nepal. Public Bank offers a UnionPay Debit card in Malaysia. Mitsui Sumitomo Bank offers a UnionPay credit card in Japan. Shinhan Bank offers a UnionPay credit card in the Republic of Korea. United Overseas Bank offers a UnionPay credit card in Singapore. Vostochny Express Bank offers both UnionPay credit & debit cards in Russia. Bank Alfalah offers a UnionPay debit card in Pakistan. Payment will be processed on UnionPay official site. Customers’ bankcard number and password will not be stored on your site. 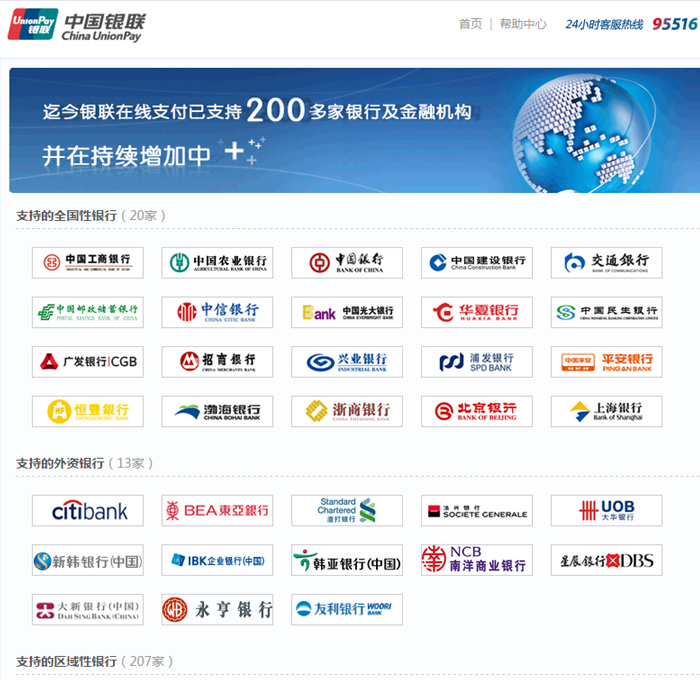 UnionPay supports 200+ local Chinese bankcards and 14 foreign banks. More info. 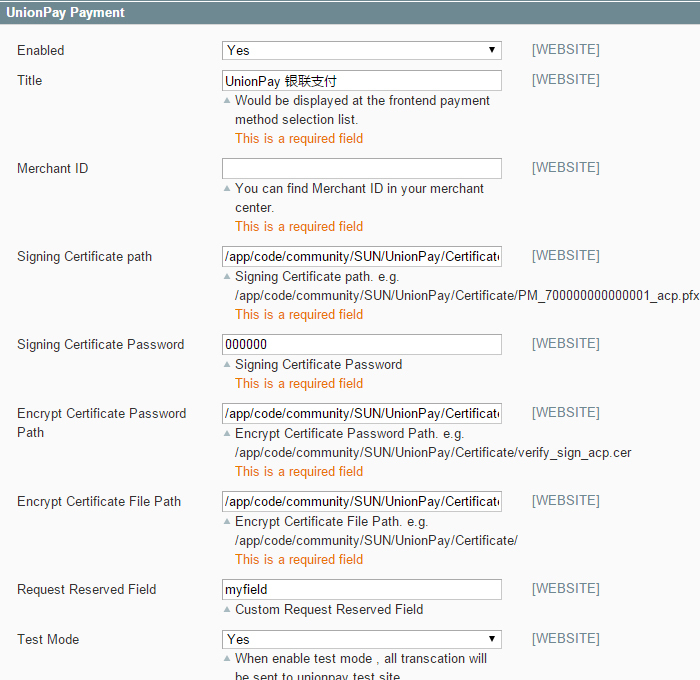 -In admin->System->Configuration ->Sales->Payment Methods, enable "UnionPay" payment.